If money makes the world go around, then it is the world of credit that gives the Earth its’ spin. But what is credit and how do we acquire it? 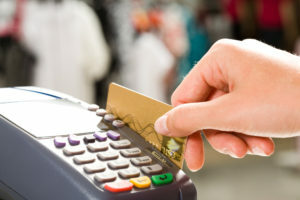 Credit in and of itself is an abstract term created by the financial industry to help consumers make major purchases on time rather than paying a large bill all at once. That creates employment and economic activity that generates prosperity that we all enjoy. We all have credit; it falls into three categories, good credit, not so good credit and no credit. Good credit means that you will get what are called ‘prime’ lending rates and they are the lowest rates of interest based on risk factor. Not so good credit can be characterized as ‘sub-prime’ credit where the borrower might not get the best rates for borrowing due to increased risk of the borrower’s ability to pay. The people who have no credit are generally new to the workforce or are minors just coming of age, and they will have to build a credit record of some type before they access major credit. The way credit is assessed is through a system that ‘scores’ an individual’s ability to pay an outstanding loan – which is an I rating for Installment – or for their ability to service a recurring debt – like a credit card, and that is rated with an R for revolving credit. If you pay your debts on time, in full, every time your credit score will be considered very good, if you pay most of your debts on time and make minimum payments, your credit score won’t be as good, but it will still provide a level to access credit. For the no credit types, obtaining some credit and meeting the terms and conditions of a credit contract will help provide the necessary points to grow a credit score that will help make major purchases. Resolving your debts or settling your debts can save hundreds if not thousands of dollars on a major purchase and it is important to keep more of your hard-earned money than you are paying out for life’s necessities and luxuries. Regularly check your credit bureau for suspicious activity that can lead to delinquent debt. Identity fraud is a tremendous problem in the credit industry and protecting your good name requires attention. If you see suspicious activity on your credit bureau report, report it right away to the credit provider and to the police. Identity theft is fraud, and your only recourse is to disavow any suspicious activity otherwise you will be expected to pay debts you didn’t incur. Another important component of the credit score is how you pay your bills and get out of debt. If you don’t pay your bills on time, a precipitous dip in your credit score could occur and that can cost you money in the long run in financing any purchase. Paying at least the minimum payment on any debt will demonstrate a certain level of responsibility in your use of credit and a prompt payment history provides an excellent credit reference. If you have fallen behind in payments and your accounts have become delinquent it is important to bring these accounts up to date before you apply for new credit. Instances of recent late payments can preclude new credit being issued more so than older delinquent accounts that have been settled in some form. Credit utilization is another form of analysis and it is simple point – it looks at how much we borrow versus what we can service in the way of debt. Credit scoring looks at debt load as a means for extending credit, and if the debt load is too high new credit can’t be issued, and until the situation is brought under control, it means the credit score will suffer. Maintaining old credit accounts can be beneficial in ways that may not be considered. Because credit is an industry based on historical data of the borrower, the longer the positive history you have, the more it will benefit you in the long run due to a higher credit score and access to cheaper rates of interest. Taking advantage of these few details will be your credit salvation and save big money on large purchases like cars and houses that will improve the quality of your life. To find out more, contact a debt specialist today.